Cranberries are one of the things that I look forward to most every fall. I was literally stalking all of the local grocery stores this year to see when they came out for the first time! 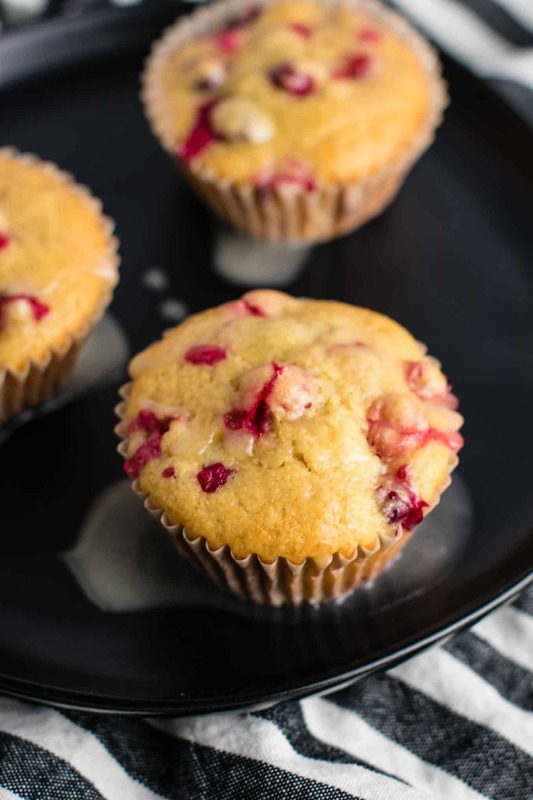 From Cranberry Cream Cheese Muffins to Cranberry Eggnog Bread, to Cranberry Sauce, to Cranberry Apple Butter, I just can’t get enough! I love how tart cranberries are and I can’t get enough of the sweet tart contrast. 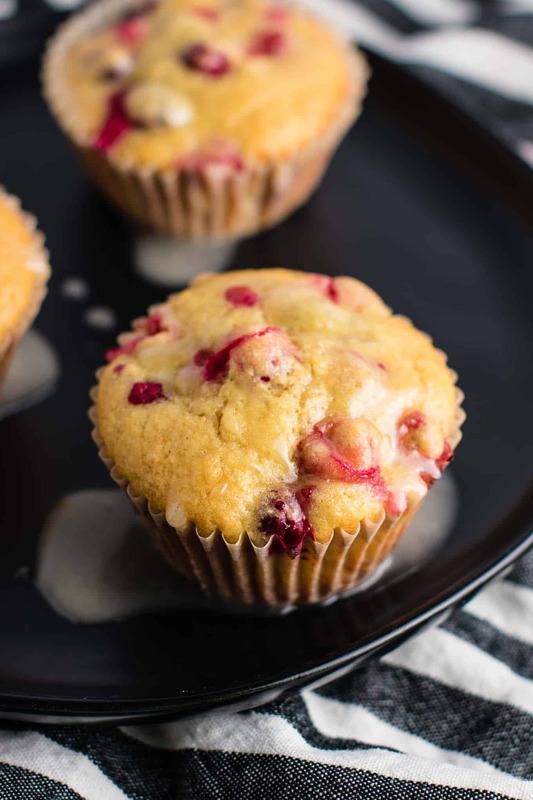 I wrote a post on 8 delicious fresh cranberry recipes to make this holiday season! Beat together greek yogurt, olive oil, orange juice, vanilla extract, eggs, and sugar until well combined. Add dry ingredients to wet, until just combined (do not over mix). Fold in cranberries with a rubber spatula. Fill muffin liners 3/4 full with batter (the recipe yields around 12 muffins). Whisk together orange juice and powdered sugar until it forms the glaze. 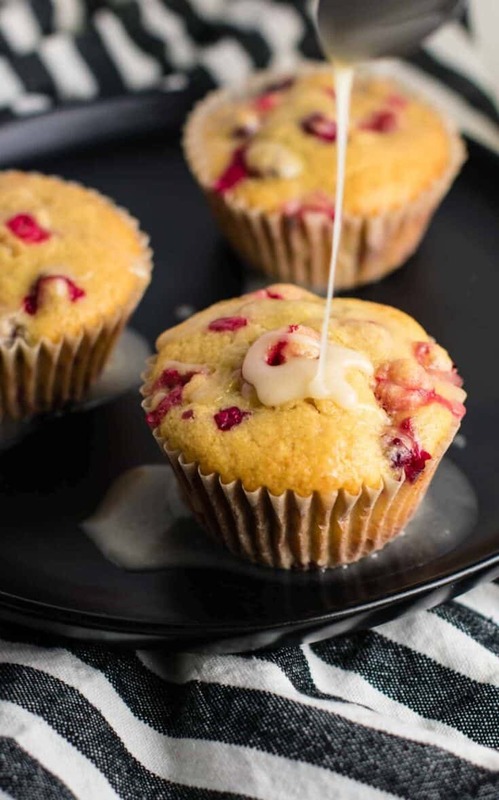 Drizzle glaze over muffins and enjoy! 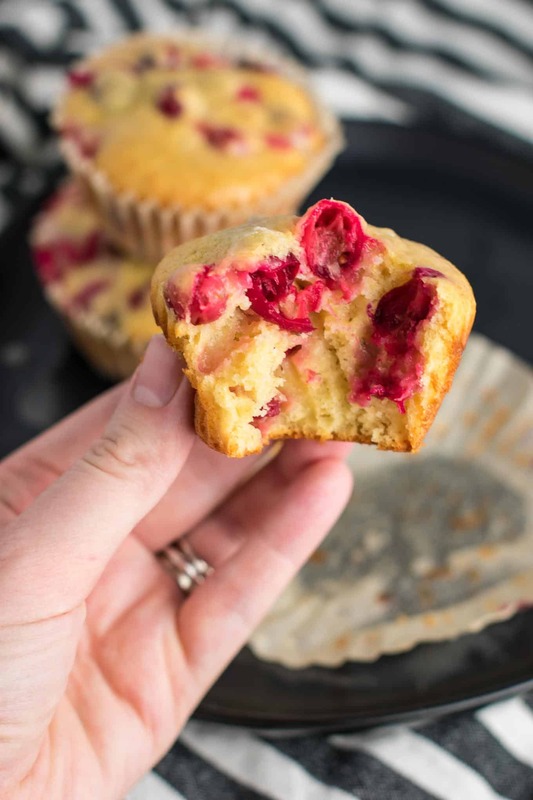 I love using greek yogurt in muffins as a healthy way to puff them up without a lot of oil. Added bonus is the protein that it adds! 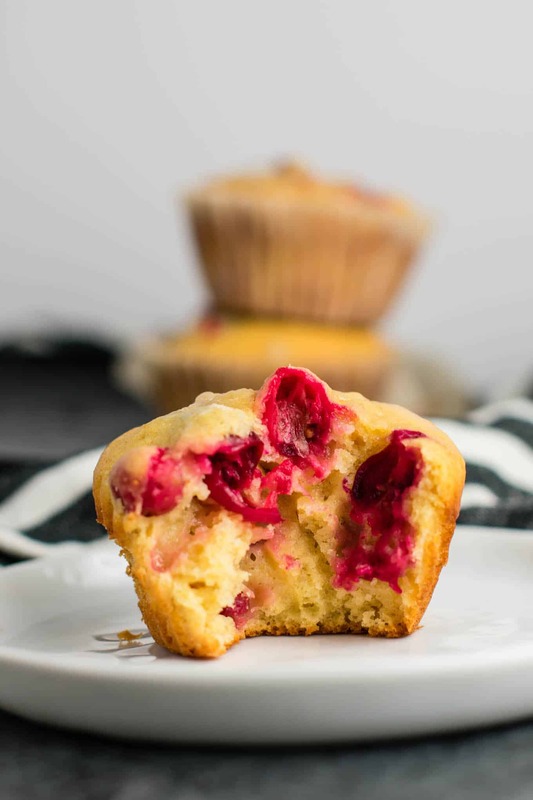 These muffins are insanely fluffy and light, while filled with healthier ingredients and whole wheat pastry flour. Freshly squeezed orange juice is the way to go, and it only takes around 1 large orange for the juice that you will need for this recipe. 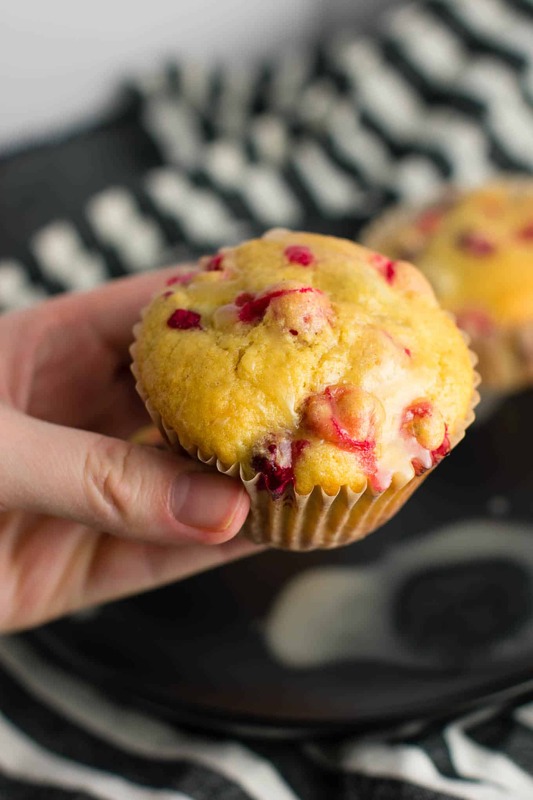 These healthy cranberry orange muffins would be a great healthier breakfast, snack, or even dessert! 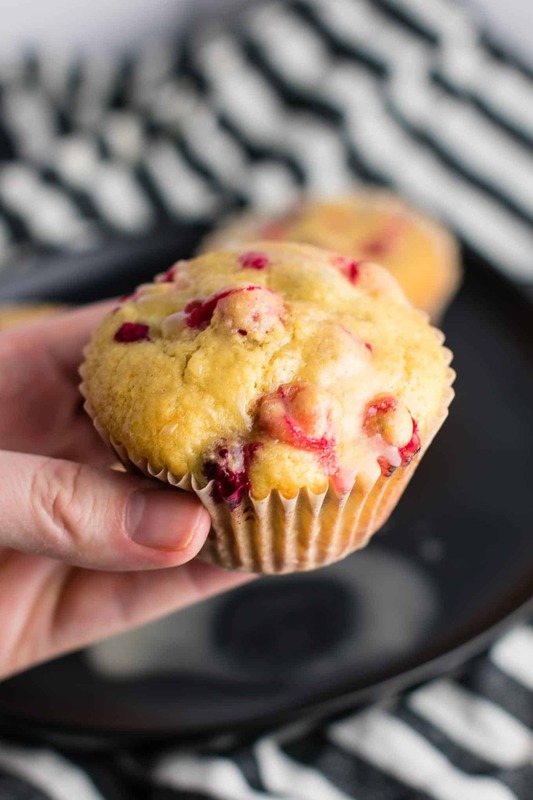 I love cranberry and orange together – another great recipe with this combination is my Cranberry Eggnog Bread! They are not overly sweet, and topped with an easy to make sweet orange glaze. I love them best chilled from the fridge, as the glaze turns into an almost frosting texture. You can use either 1 or 2 tablespoons of orange juice for the glaze. Just 1 will yield a thicker glaze. I used two tablespoons as I wanted a more orange-y flavor and the glaze was more runny and tasted great chilled from the fridge. Can you use less sugar or substitute the sugar with honey? I used an extra egg white instead of oil , frozen cranberries and I did not add salt. I am very pleased with how they came out. Although I think I would use a few less cranberries next time. I’m so glad you enjoyed the recipe! 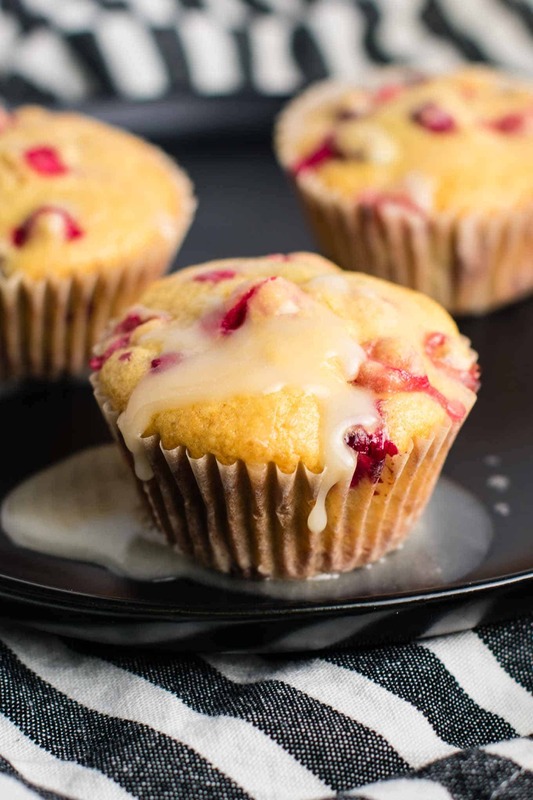 I will have to try these with frozen cranberries. These were delicious ! I zested the orange as well and added it to the batter.